Come join Royal Herbs at the Whistler Farmers Market! 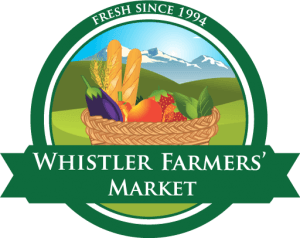 Located in the beautiful Upper Village Market stroll, the Whistler Farmers market features local produce from the Pemberton Valley and beyond, tasty artisan foods, and live cooking demos by Whistler’s Chefs. Local artists, musicians and face painting are also available. Lots of fun and activities for families and children!